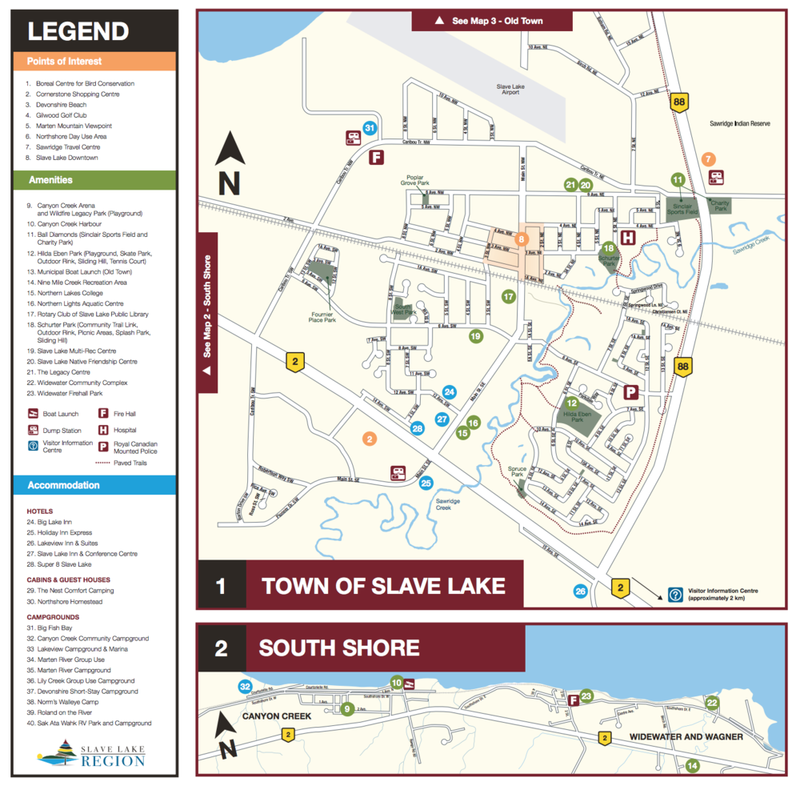 We worked closely with members of the Slave Lake Region to create a custom vectorized map of the Town of Slave Lake and surrounding areas. Information was pulled from existing engineering drawings and input from various members was required to highlight key areas to support it’s high tourist season. The map included key features such as visitor access locations, business listings and points of interest. This map is to be incorporated with a future Visitor Guide Book (to be completed).